Mike, Morgan, Rylan, Aryeh & Matteo N.
Names may be added or dropped from the list. Jennifer, William, Julie, Ben, Otis, Mike, Morgan, Matteo N., Ryan, Hayden, Elias, & Holden. PLEASE HAND IN FEE PRIOR TO THE EXAM. CASH OR CHECK. 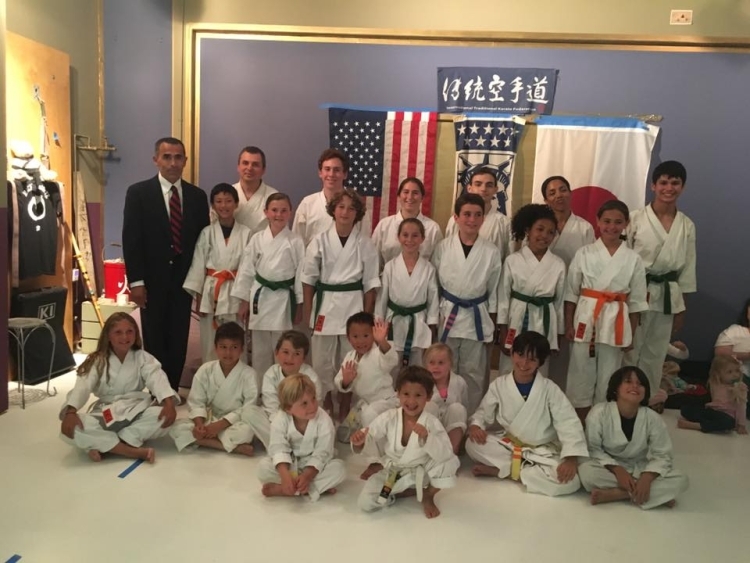 Ben 4th Kyu - A . .
Julie 4th Kyu - A . .
William 4th Kyu - A . .
Otis 6th Kyu - A . .
Mike 7th Kyu - A . .
Morgan 7th Kyu - B . .
Aryeh 7th Kyu - A . . .
Rylan 7th Kyu - A . . .
7th Kyu - B . .
Jenifer 8th Kyu - A . .
Ryan 8th Kyu - A . .
Holden 8th Kyu - A . .
Hayden 8th Kyu - A . .
Peyton 8th Kyu - A . .
Caleb 8th Kyu - A . .
Aryeh 8th Kyu - A . . .
Elias 8th Kyu - A . . .
Barron 7th Kyu - A . .
Mia 8th Kyu - A . .
Mike 8th Kyu - A . .
Sarah 8th Kyu - A . .
Chayse 8th Kyu - A . .
Campbell 8th Kyu - A . .
Cali 8th Kyu - A . . .
Siena 8th Kyu - A . . .
Alessandra Sho Dan . .
Jonathan Sho Dan . .
Asher 4th Kyu -A . .
Charli 5th - Kyu- A . .
Sophia 6th Kyu - A . .
William 6th - Kyu A . .
Dixon 7th Kyu - A . . .
Rex 7th Kyu - A . . .
Otis 7th Kyu - A . . .
Kai 7th Kyu - A . .
Jackson 8th Kyu - A . .
Nolan 8th Kyu - A . .
Harper 8th Kyu - A . .
Matteo 8th Kyu - A . .
Rylan 8th Kyu - A . . .
Lucas 8th Kyu - A . . .
Mitzi 8th Kyu - A . . .
Zaia 8th Kyu - A . .
Karina Make Up Exam . .
Allesandra 1st Kyu . .
Jonathan 1st Kyu . .
AJ 4th-A Kyu . .
Matt 5th-A Kyu . .
Helena 5th-A Kyu . .
Addison 5th-A Kyu . .
Asher 5th-A Kyu . . .
Isabel 5th-A Kyu . . .
Charli 6th-A Kyu . . .
Karcher 6th-B Kyu . .
Sophia 7th-A Kyu . .
Jett 7th-B Kyu . .
William 7th-B Kyu . .
Otis 8th-A Kyu . .
Kai 8th-B Kyu . .
Lucca . 8th-B Kyu . .
Donnavan 8th-B Kyu . .
Barron 8th-B Kyu . .
Rex 8th-A Kyu . .
Sensei used to say "To maintain one's level one must train twice a week. To improve one needs to train at least three times a week. To improve even more, then more classes a week". We have convenient locations an extensive schedule and an informative website your success now depends on the time and effort YOU put in. You are the one that chooses your level of success. We say "One taking a Black Belt Exam (any Black Belt Level), one must be at the top of their game. In "the best" physical condition. Their body must have made a transformation. Now you are in a room of others in the "same condition". Then you must stand out amoung "them". There was some misinformation going around the last few years at Central Dojo. That "everyone" would not pass their Black Belt test the first time. But that they would pass their second or third time after that. I even heard "I'm going to take the test just to get that over with" The fact was that most people did not understand what was expected, tested too soon and underprepared. We ran out of film we'll follow up with a full video. Please no Excuses on "I'm too Old"
2nd Degree Black Belt Exam = Your Designated "Black Belt Kata", The 4 Main "Brown Belt" Katas (you will have to perform one randomly picked by the Examiner), Kihon, Kicks, "Hit the Pencil" & Kumite with someone of the same rank showing Offense, Defense then Free Spar. 3rd Degree Black Belt Exam = Your Designated "Black Belt Kata" with Explanation of a Sequence Randomly Picked by the Examiner within the Kata, Second Kata randomly picked by the Examiner from the group of Tekki Ni dan, Tekki San dan, Jitte, Gankaku & Hangetsu). 3 Kumite Free Spar matches with 1st Degree Black Belts. Observe a Brown Belt perform a Kick punch Combination then give a correction. 4th Degree Black Belt Exam = Your "Black Belt Kata" - Explanation of a Sequence Randomly Picked by the Examiner within the Kata, Submit a Research Paper and give a brief Explanation of the Paper. Subsequent Exams the Same as for 4th Degree. No Excuses 'I'm too Old"! Used in the competition Event "Fukugo"
You must give us your notice that you would like to schedule your Black Belt Exam. We need a 3, 4, 5 or 6 month notice prior to your Exam. Please keep in mind that taking the test does not mean you will pass the test. Zach 6th - Kyu - A . .
Jordan L. 7th- Kyu - A . .
Luke 7th - Kyu - A . .
Michael 7th - Kyu - B . .
Lucas 7th - Kyu - B . .
December Belt Exam Results . .
Eliza Ii Kyu . . .
November Belt Exam Results . . . .
Tara 8th - Kyu - A . . .
Dmitry 8th - Kyu -A . .
Scott 8th - Kyu -A . .
Luke 8th - Kyu -A . .
Jordan 8th - Kyu -A . .
Ben H. 8th - Kyu - B . .
Roxanne 8th - Kyu - B . .
JD 5th - Kyu -A . .
Kellen 7th - Kyu - B . .
Alex B. . 8th - Kyu - B . .
Matthew C. . 8th - Kyu - B . .
Alessandra 8th - Kyu - B . .
John 8th - Kyu - B . .